I just touched on a bunch of cool insights, news and casting info for the fourth season of Arrow on The CW. Now let's do some of the same for The Flash, shall we? Teddy Sears has been cast as Jay Garrick, who, in the comics, was the first Flash from the Golden Era. Word is that this could herald a major "crisis" for our Barry. Remember that winged helmet we saw fall on the floor of the accelerator hall near the end of the season one finale? That was Garrick's helmet. That and in season two, Barry will have a new love interest. Shantel VanSanten will guest as Patty Spivot, Barry’s new love interest. Michael Ironside will be showing up in S2 playing Captain Cold's abusive father, Lewis Snart. Former WWE superstar Adam “Edge” Copeland will be playing Atom-Smasher. What's curious is the producers pitch Atom-Smasher as a bad guy while in the comics, he was a good guy. We will be meeting Wally West. Who? That's another Flash, but I'm not sure in what capacity we'll see him in, in the show. We "know" that Tom Cavanagh's character died last season, right? And yet he's in season two. Crap. Will we be seeing Danielle Panabaker playing Killer Frost in the upcoming season? Who knows. We saw that quickie visual clue during Barry's zoom through time. But what time did we see that visual snippet? Be ready, just in case Cisco Ramon does become Vibe this season? Just saying. A few episodes of The Flash and Arrow this season will be setting things in motion for the upcoming new show, Legends of Tomorrow. Oh, and with Barry having mucked with the accelerator in the season finale, it begs to ask, when Barry pops out of the little wormhole it made, was he returned to our Earth, or possibly Earth 2? Just saying. 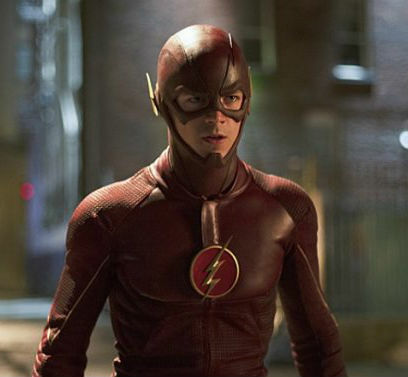 The Flash Season 2 will premiere on October 6.